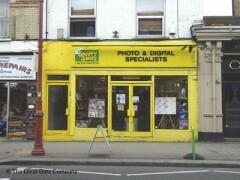 About: Snappy Snaps the Photo & Digital Specialists. We offer same day photo and digital services, Biometric approved passport, visa and ID photos for every country, printing and binding, thesis, posters and large format printing, laminating, personalised gifts, design services and greetings cards, VHS/cine film/camcorder to DVD transfer, bulk scanning, t-shirt printing, instant prints while you wait and instant, canvases, photobooks. All produced to the best quality and hand printed on our professional lab by our friendly, family team.